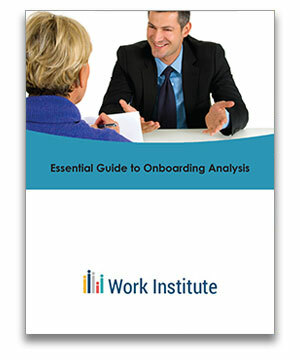 Learn and understand the best practices for implementing the practice of onboarding analysis in this essential onboarding guide. To truly be a great Human Resource professional, it is important to consider and attempt to understand the employee experience with new hire onboarding. Having a successful onboarding practice is essential to a comprehensive talent management strategy and effective onboarding is a vital step in generating success for the organizations' newest employees. It's all here in the Essential Guide to Onboarding and it is available at no cost to you. Complete this online form and then download this Work Institute guide.